We offer single, double or triple acting - straight sided presses that are available with single or two-point suspensions having one or two cylinders. 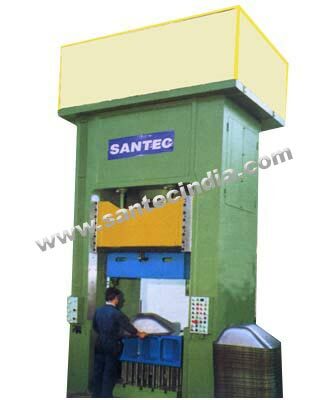 These presses find application in production processes, where good slide and bed alignment are essential for accuracy. The force capacity ranges from 50 to 5000 tons (0.4-44.5 MN) for convectional metal forming and blanking operations, and 85,000 tons (756.5 MN) for hot forging. Our straight sided presses have three main components viz. the bed, side housing (uprights) crown and slide (platen).